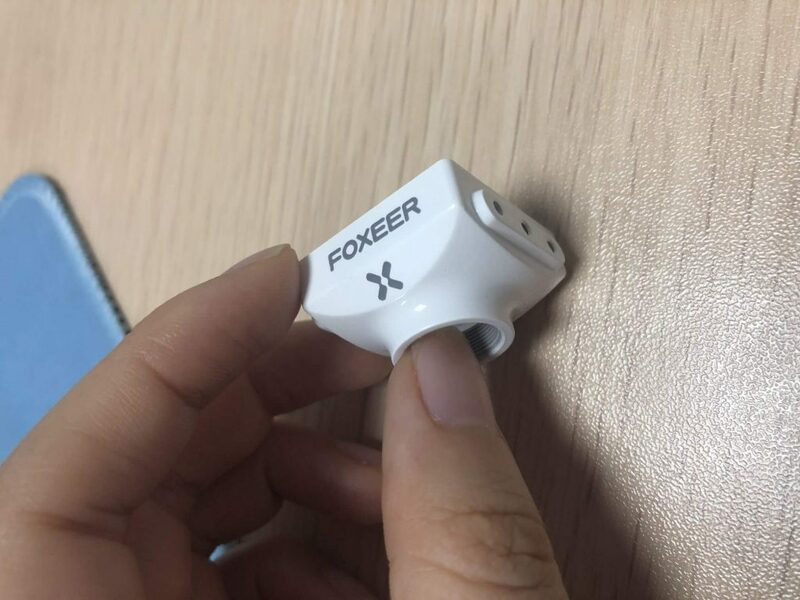 Foxeer is preparing to release new camera – Foxeer Falkor. 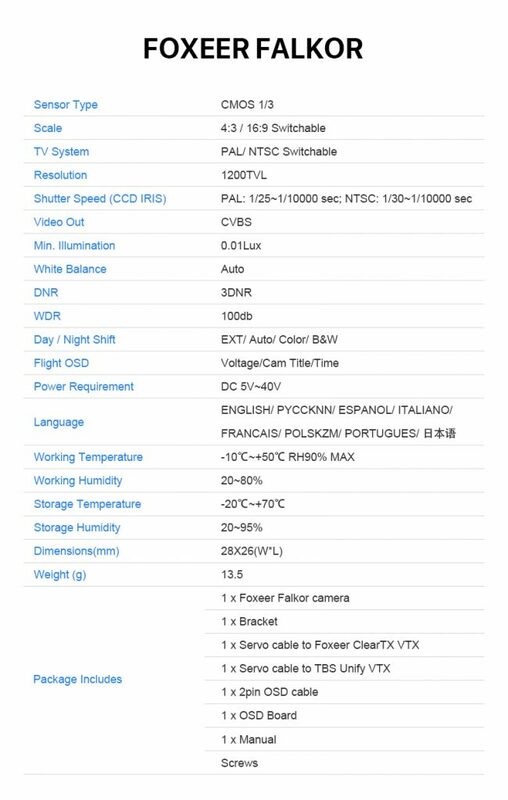 It will have switchable 16:9 and 4:3 image aspect ratio and switchable PAL/NTSC video format. 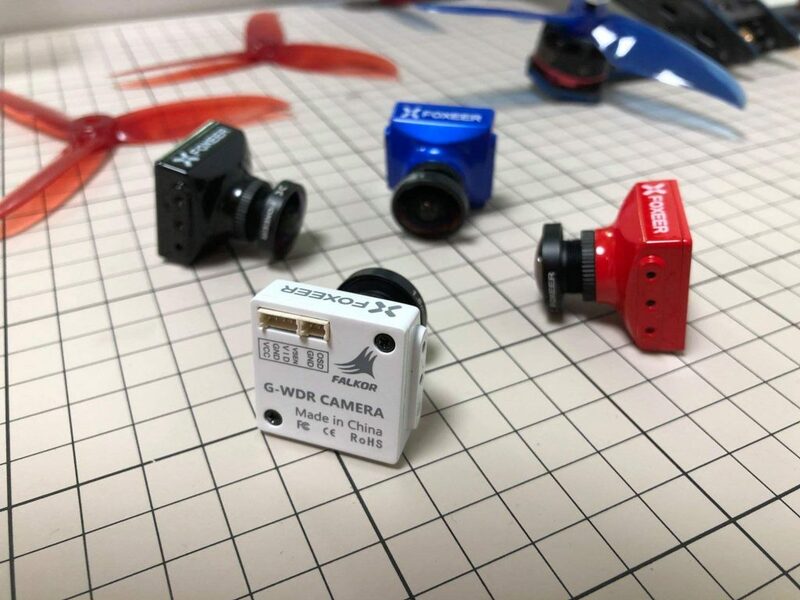 Camera sensor will be CMOS and it will have G-WDR (global wide dynamic range). 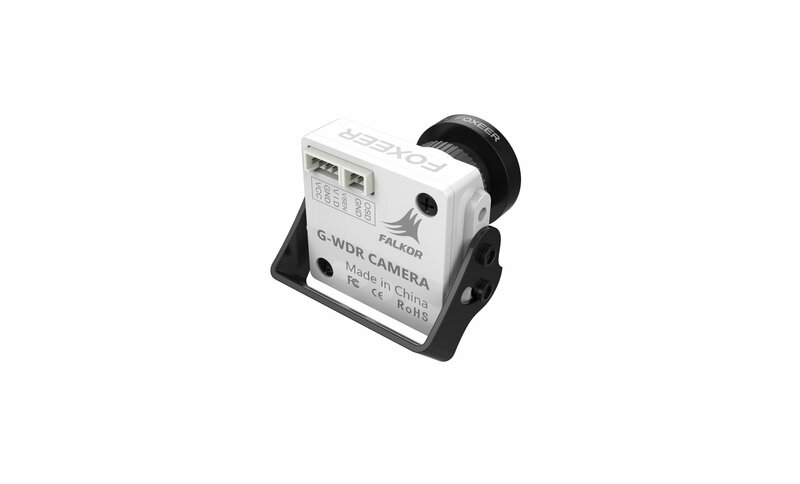 It is expected that the camera will have superiour WDR functions and will be working good in all lighting conditions. Other features:”All-weather matching & Auto-environmental adapting. Brighter and more detail in the outside backlight surroundings. Good performance in dim LED scenes”. 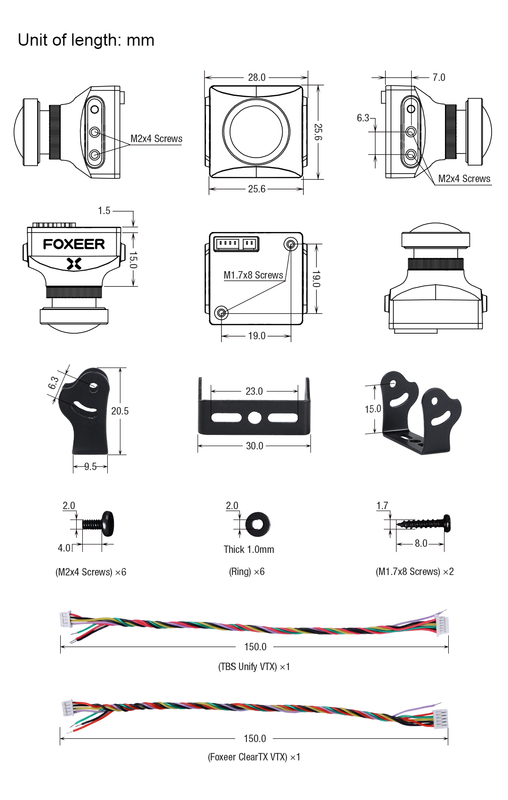 As almost all modern cameras Foxeer Falkor will have OSD with Voltage/Title/Time. 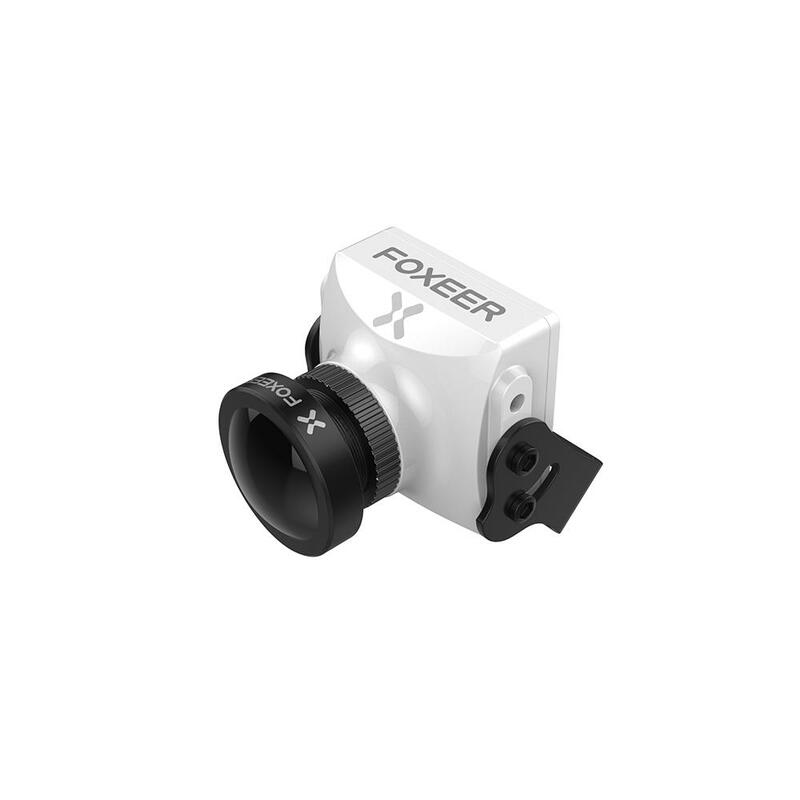 Firstly it will be released as full gsize format camera, then later it should be released also in micro format. 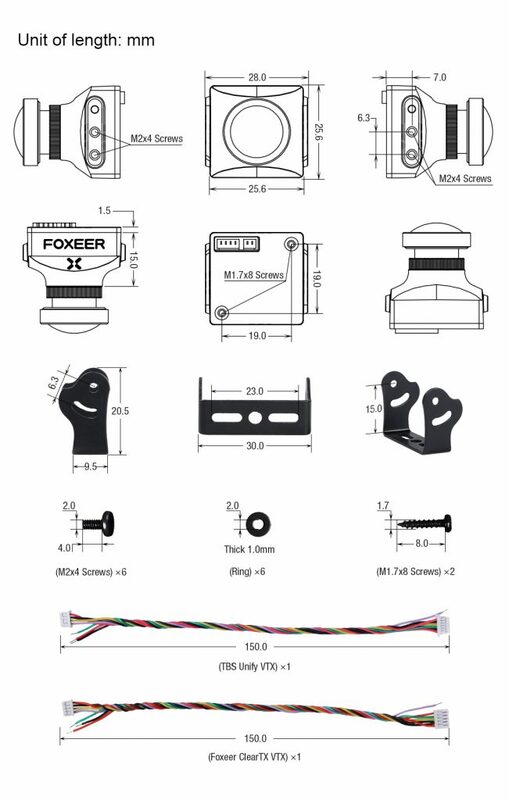 Interestingly it will also be available in white color besides other standart to foxeer black, blue and red.